Pictured above is one of my EPI 400s. This is a very early pair with the drivers mounted low to the ground. They were an E-Bay purchase that I drove about 3 hours for. I had to redo the surrounds on all eight woofers. Then I treated the cabinets and rebuilt new crossovers. The grills were glued in place at the factory so I had to remove a ton of old glue and install some velcro so grills can be non-destructively removed now. They are currently in my living room being driven by a ClassD Audio DIY amp kit that I love and think is a GREAT value. These 201s were my most listened to pair for some time. In my humble opinion, they are the best of the dual module models. I attribute this to their heavy cabinet construction and irregular cabinet shape. They too were an E-Bay pick up. The previous owner had all four woofers reconed by Human Speakers. Huw Powell at Human does excellent work and is the true heir to the only genuine drop-in replacement woofers and tweeters for EPI, Epicure, and Genesis. 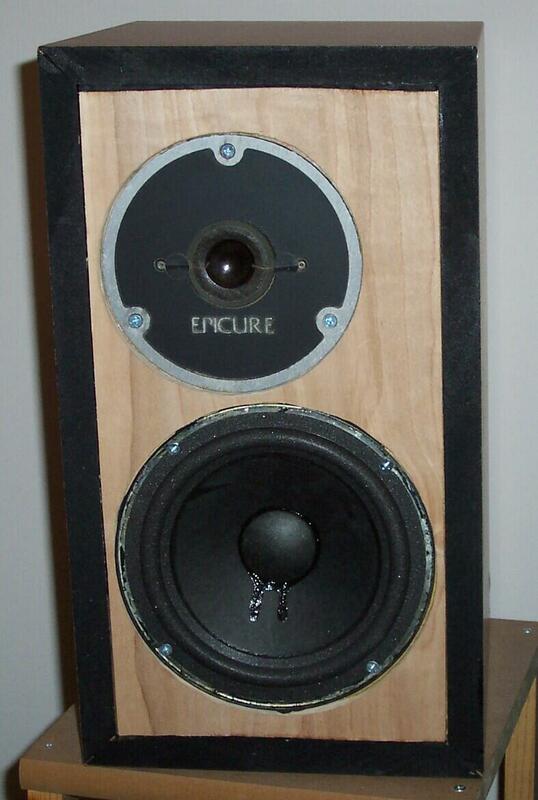 The speaker top right is an Epicure 14, which was sold off in 2008. 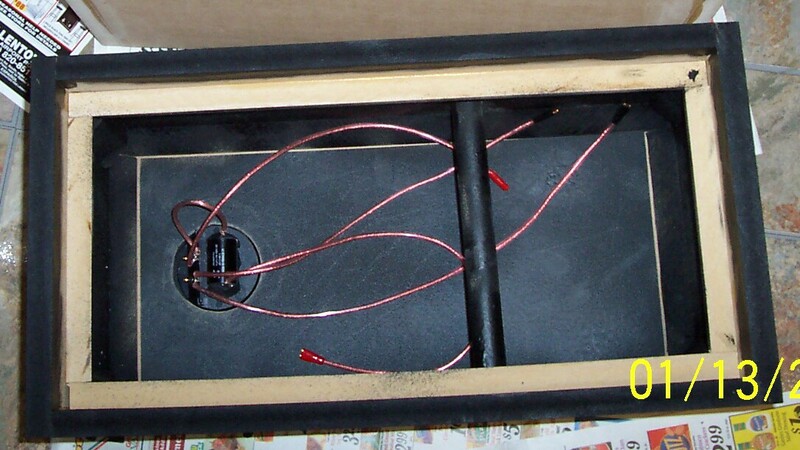 Above is the interior of an EPI 100 clone cabinet I built. I found a pair of grills online so I built the rest of the speakers around them. They turned out quite nice and sold quickly. Below is pair finished in light maple vinyl. 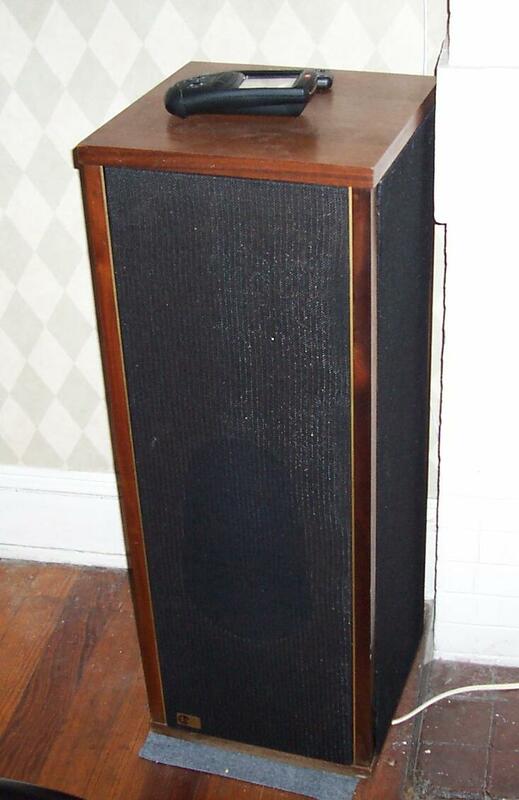 Above left is one of the more rare EPI speakers from the MT (mini tower series). This is a pair of MT2s I bought as a basket case on E-Bay. The restoration work was done before I began doing my own work. It was done by Bill Legall of Millersound. Bill is a legend for speaker repair and upgrade and recognized as one of the world's leading authorities for the old Infinity series. Those are Edison Price binding posts sticking out the bottom there. Those darn posts cost more than some of the speakers I have bought. For a pair of speakers with only two 4.5" full range drivers [plus two tweeters] the bass is quite strong and the overall sound is excellent. They are currently being driven by a 70WPC Rotel RX-875 receiver. Above right is one my Model 60 clones build with a flush baffle. They are very solid and sound like a 100 but with reduced bass of course. I built a pair of EPI100s with the drivers mounted on the narrow edge for better imaging...which will slightly hurt the bass response since the baffle is narrower. Thus I added a baffle correction circuit to the crossover to compensate. I build a pair of Human Speakers Model 66 LEs from kit. The sound is remarkable, thank you Huw! The cabinets I build are super strong and super ugly. I swore off ever building another set of tower cabinets. My 5.1 system has a home made center channel speaker that has two 6.5" woofers and two tweeters. 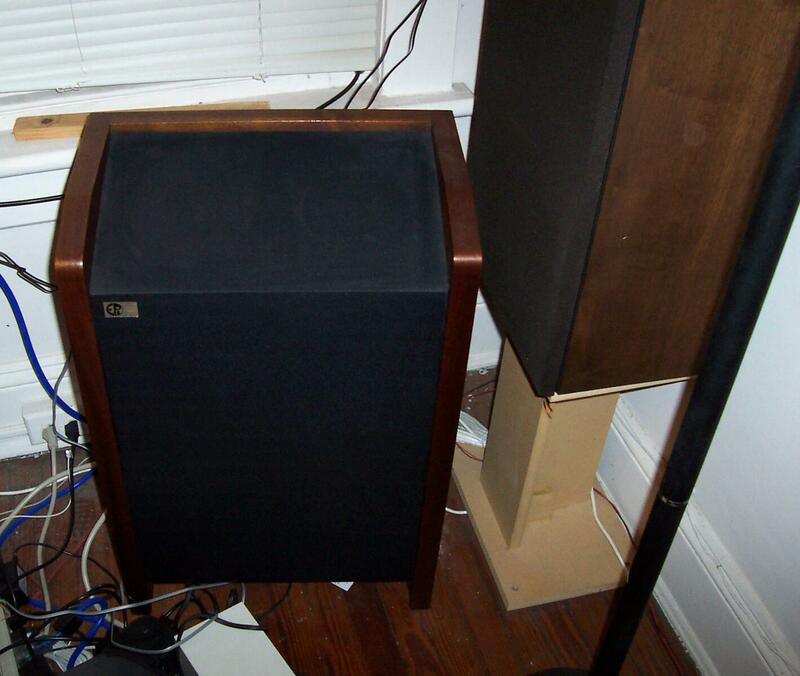 It is essentially like laying a pair of model 60s on their side as a single speaker. 602s. 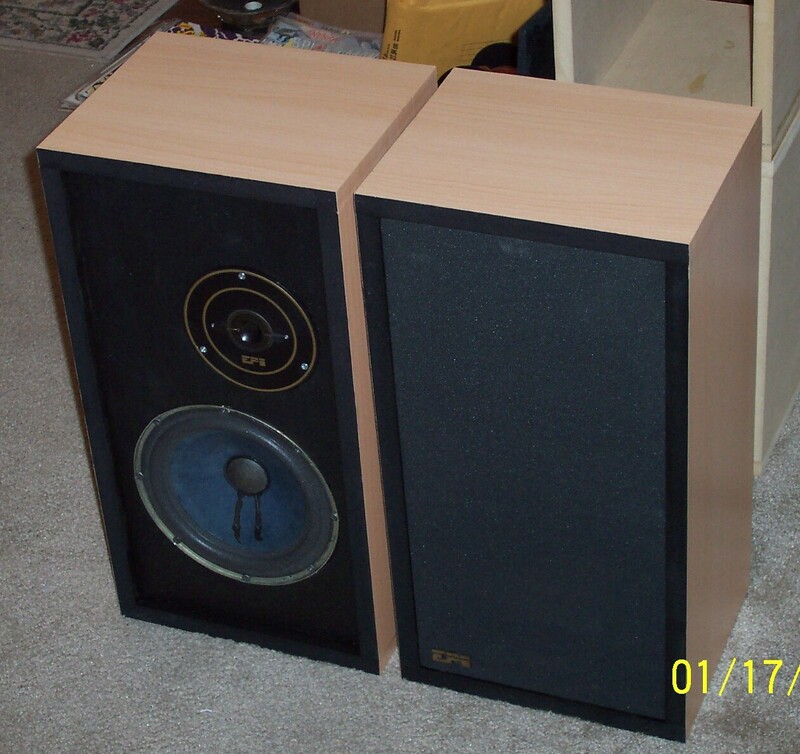 A buddy of mine who is a worse collector than I am found a beat to hell pair of 602s on Craigslist. I could not pass up the chance to refurbish an EPI model I had never previously seen or heard. I paid $50 for them to start. They had one dead 6.5" woofer, one dead tweeter, and all five of the remaining woofers needed surround repair. I tweaked the cabinets and built new crossovers. I still may recloth the grills. The finish was pretty awful so I lightly sanded and re-stained them. They still won't win any beauty contests, but at least they are now passable. Also in the collection is a pair of Winslow's Silent Speakers and of course, that pair of 100s I got on E-Bay about seven or eight years ago that rekindled this habit.